Will the NBA be expanding to Europe anytime soon? While it seems unlikely that the NBA will expand anytime soon, especially with claims that multiple teams and owners are losing money, it is possible at some point down the line. 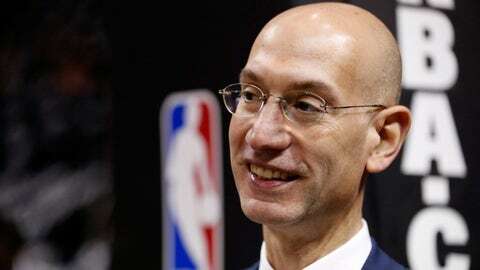 NBA Commissioner Adam Silver recently addressed questions about expansion, and whether bringing a team to Europe would be a viable option. Commissioner Adam Silver says it is “premature” to talk about an NBA expansion in Europe. Silver spoke in Madrid on Wednesday, a day before the Boston Celtics play Real Madrid in NBA’s Global Games tour.